I was asked by the cattle drive boss to spend a few minutes with you this evening to talk about ranching. Specifically, I’d like to tell you a little bit about the tradition of Great Basin ranchers, this land in the high, cold desert and the people who chose this harsh and seemingly inhospitable environment to be ranchers. Of course, modern ranching is a business but like so many things in human history which have lasted, there is also a culture. Seafaring people have a culture, coal miners have a culture and livestock herders have a culture. 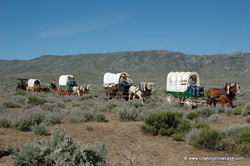 Remember, what you did today –herd cattle on horseback for half dozen miles -- has been done for thousands of years. The techniques we used today have origins in ancient Mesopotamia and the way we use our horses in the Great Basin and the equipment we use can be traced to ancient methods and gear used in Arabia, North Africa and the Caucuses region where I’m told the first horses were tamed by man. 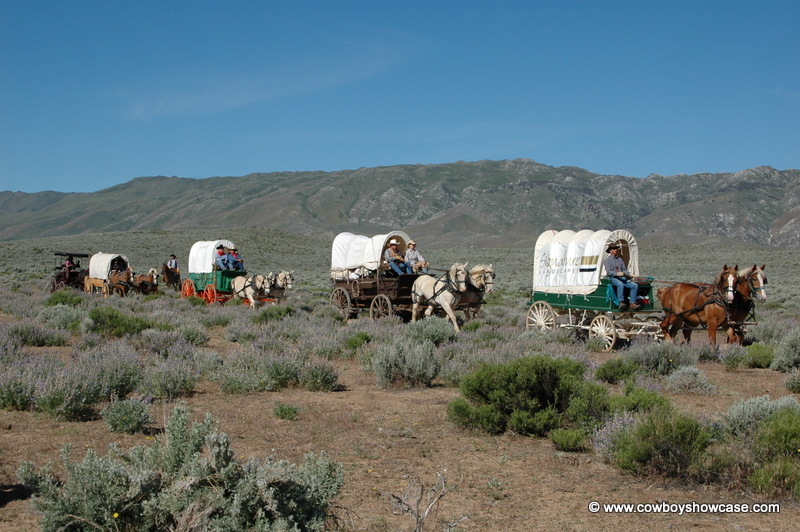 Many of you have been on this cattle drive more than several times so this is primarily for the first-time guests but also worth remembering no matter how many cattle drives you have been on. You are now part of a culture into its 6th century in this hemisphere. As a rancher, I welcome you all because there aren’t many of us and we need you to be our ambassadors and emissaries to the rest of the world. This is so because our traditions our way of life, our livestock and horse-handling methods are important, useful, and meaningful and should not be lost to the rest of humankind. The second thing to discuss about ranching is the land. You rode through an area today little changed from when the first Europeans saw it. Also, you are privileged to be seeing plants which elderly life-long Nevadans have never seen because of the extraordinary winter and spring we have had this year. Ranchers have to be skilled in many things: veterinary medicine, mechanics, genetics, human management, horsemanship and plant and range science to name a few. But as with any profession, perhaps the greatest skill is to be a keen and precise observer of all that goes on around you. You are now used to your horse and even you first-time guests now realize if you put pressure on these cattle, they will move away from you. So I would like to challenge you tomorrow as we ride along to become an observer as if you were the rancher whose land we are traversing. Look at the land and its plants – the crop the range cattle will harvest. There are displays of range plants and animals all around the camp tonight. Pick out a couple of animals and plants and see if you can find them tomorrow. I guarantee you they are out there in that big, broad valley we will be riding through. See if you can find the water sources for the livestock and wild animals. Ask yourself how many cattle could utilize this range and for how long. The rancher who runs this place has to look at these things and ask these questions regularly. Without keen powers of observation and good judgment, it is really tough to be a successful rancher. Finally, you can’t talk about ranching without talking about its people. The volunteers who put on this cattle drive for you guests are a pretty good cross section of the sort of people who are ranchers. From the cooks to the cowboys, they may not actually be ranchers but they have a western rancher attitude. They are open like this broad, big country we are in. They have a sense of humor and are willing to laugh at themselves. There is an honesty and a straight forwardness about them you can almost feel. They want to be on this land tending their stock and improving the land and their animals. Given the freedom to operate within the bounds of what the land will provide, they will improve it and leave it better than they found it. Ranchers are devoted to their land and their stock and the truly successful are also passionate about their families. The land always surprises me and reminds me why I am here. Today, while riding along with all of you, I counted eight different grasses in a little over three-quarters of a mile. I’ve never seen more than three of theses grasses at the same time. Seed from this grass has lain dormant for years and years during this terrible drought we have been going through. But the land will fool you. People would ride through this area two or three years ago and say the livestock, wild horses and other animals have decimated it. But, all the land was waiting for was a little it more moisture and now it is a blossoming paradise. So you see, we have to take the long look when we are observing the land and analyzing it. In fact, truth be told, humans have not been around that long by comparison. This country has a diverse and varied plant life, and if the people who really know this land were allowed to work it and improve it with some reasonable but flexible regulations, it would thrive and become even more productive. The people remind me of why we do what we do. Be it our family, or the need to help feed a nation of people or helping all of you understand the importance of ranching and those who are valiantly trying to make a living off this land. America became a food importing nation for the first time in our history last year. Do you really want to become dependent on foreign nations for your food as you are for your oil? At the end, it is the people who are the most important because without you helping us to tell our story and without us carrying on this 10,000 year-old tradition, nothing would really matter very much. C. Joseph Guild III is a Nevada rancher and past president of the Nevada Cattleman's Association. He is active in spreading the word to folks not familiar with ranching life about the importance of the western way of life.